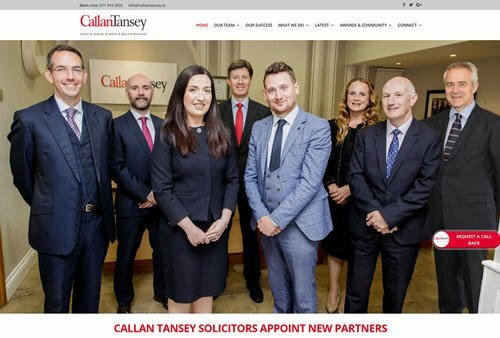 At Format.ie Web Design, we love when clients are delighted with the website design we have created for them and equally, when it filters through to their customers remarking on the design and web functionality of their website. In choosing Format.ie, we will make your website work for you and deliver the results you want. We have built hundreds of fast-loading, responsive and elegant websites. Our websites have ranged from simple websites to web design that has required complex coding to create the functionality that clients have been looking for. 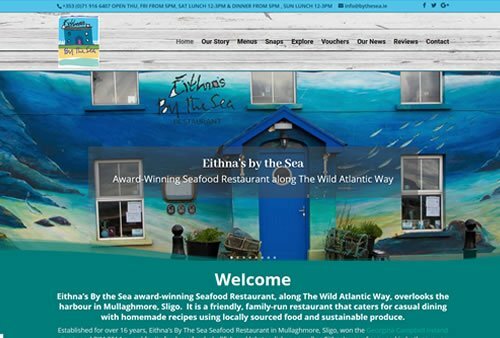 Sligo website design from Format.ie can boost your web presence and brand online. We have helped all types of businesses both small and large across Ireland grown their business and increase their sales online. Often clients have come to us with a website design or an idea for a mobile app. We have talked through the process and how we could make their idea actually come to life. We have used our technical expertise and years of building websites to create websites that stand out from the crowd, are visually appealing as well as easy to use so that customers can easily click through the site and find what they are looking for. We test our websites on mobiles, iPads, desktops and in different browsers whilst we are building the websites. All of our sites are responsive and search engine optimised. Once we have designed, built, optimised and tested your website, we will then teach you on how to update it yourself, giving you hints and tips for working your way around the content management system behind the scenes. We provide you with a customised guide detailing how to edit your website after your training session. We will give you social media guidance and tips in setting up social media and keeping up to date with your posts, what to write, when to write and keeping your posts optimised. We are always at the end of the phone for helping our customers get the best from their website. Contact Sligo Web Design Services Format.ie today!